Even though women comprise an estimated 90% of the Nursing industry, opportunities have been steadily increasing for men. Since 1970 the number of male Nurses has grown from 2.7 to 9.6% of the industry. Some of the reasons more men are attracted to Nursing is that jobs are secure and pay between $40,000 and $60,000. Here's a deeper look at opportunities for men in Nursing. In some states the percentage of men in Nursing is much higher than the national picture. In Nebraska, for example, male Nurses outnumber female Nurses by a 3-1 margin. But in all other states women are the majority. In California, 20% of Nurses are male. Excelsior College in Albany, New York has partnered with the American Assembly for Men in Nursing (AAMN) to encourage more male Nurses. 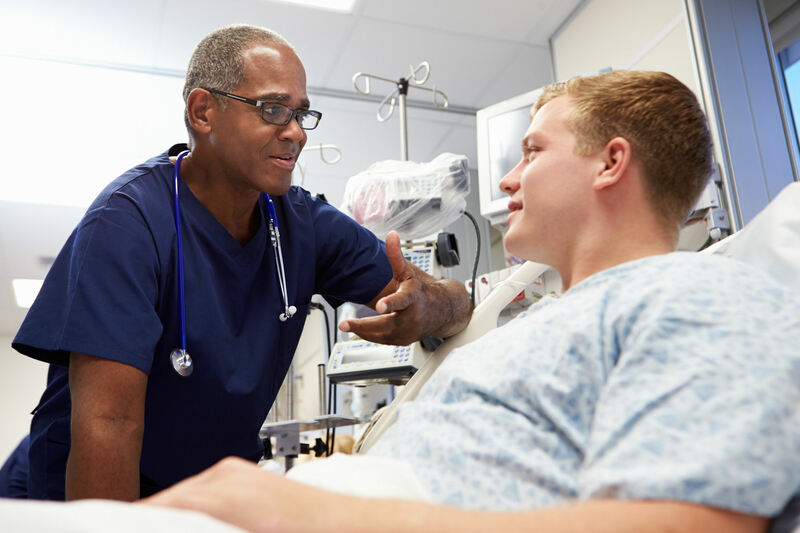 The goal of the AAMN, a national organization with local chapters, is for male enrollment in Nursing programs to reach 20% by 2020. One of the reasons why women dominate the Nursing industry is due to traditional perceptions in our society. One of the main stigmas men have faced in the past is the stereotype that Nursing is a woman's job. Another perception has been that men in Nursing are not able to be admitted to medical school. Despite a long history of men in Nursing going back to ancient Rome, in the 19th century cultural gender roles began to favor women as medical assistants. Emphasis on Victorian values of that era in the United States escalated the stereotypes of gender roles. The low point for male Nurses was during the Great Depression, declining to 1%. These perceptions are changing, though, just as more women are becoming physicians. Already in the field of Nurse Anesthetists about 41% are male. The average annual salary for this occupation is $162,000. Work in a variety of settings - hospital, office, school, homecare, teaching, etc. If you're a male who wants to pursue Nursing as a career, you should focus on Nursing more than gender. It's a rewarding occupation on many levels for both men and women, especially for people who enjoy caring for others. While Registered Nurses in America earn an average salary of about $52,000, more specialized Nurses earn over $72, 000. The job will also expand your knowledge about health, which you can apply to your own life and circle of friends.